Even though we are very much in the grasps of the digital world, books can still be an endless source of information that will not only help you improve your photography skills but they can also inspire you to try new things. 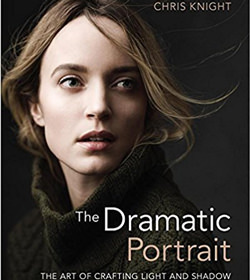 Our latest round-up looks at portrait photography so if you're looking for new shoot idea, lighting advice and posing tips, these books are definitely for you. After perusing our selection of top portrait books, we've got guides on top Lightroom books, Photoshop books and travel themed books, just to name a few. If you have any book suggestions yourself, please do share them in the comments below. In The Dramatic Portrait: The Art of Crafting Light and Shadow, photographer and educator Chris Knight provides everything you need to know so that you can improve and elevate your portraiture. Beginning with a discussion of the significance of contrast (i.e., the relationship between light and dark) and how it pertains to a sense of drama in your imagery, Chris discusses the history of portraiture and light, from the early work of Egyptians and Greeks to the sublime treatment of light and subject by artists such as Caravaggio, Rembrandt, and Vermeer. Chris then dives into a deep, hands-on exploration of light and portraiture, offering numerous lessons and takeaways that will have you quickly improving your work. 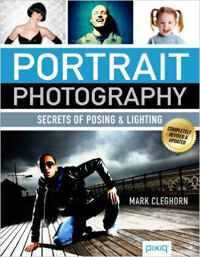 In this book, practical wisdom so popular with thousands of photographers worldwide is turned into a simple and accessible guide. You won't need to spend a fortune on props, studios or equipment; photographers and models alike will quickly learn how to create an exciting, varied portfolio of fresh portrait photography. 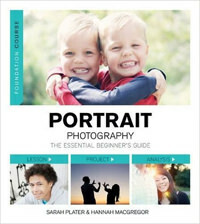 This authoritative guide by Sarah Plater and Paul Wilkinson contains clear, concise and jargon-busting text that discusses the essential technical aspects of portrait photography. 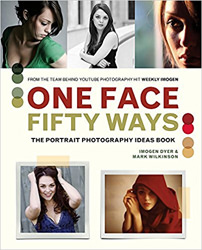 From choosing a camera and equipment to understanding exposure, aperture, metering, shutter speed, depth of field and white balance settings, there's not much that's not covered in this book. the images that sit alongside the helpful text are really great, too. Author and photographer Erik Valind shows you how to get the best shots of your subjects indoors, outdoors and at a variety of events. 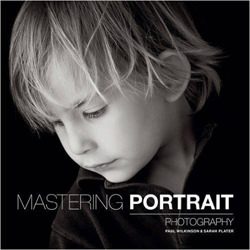 The book looks at the basics of portrait photography before moving on to more complicated subjects such as the use of light and offering advice on several portrait scenarios. The book's also beautifully illustrated. This book features technical tips as well as starting points for those new to the genre. The book is split into 7 categories, including 'Composition', 'The Gaze’ and 'The Street', plus it's well illustrated throughout. 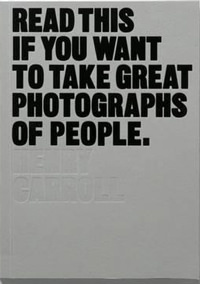 Readers are given practical insights into the ideas and techniques of a wide range of historical and contemporary photographers so they can put it all into practice themselves. Also included is definitive advice from a lawyer on your legal rights when taking pictures of people. 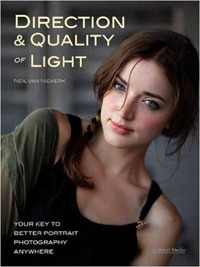 The Author, Niekerk, features seven different lighting scenarios in this book, showing readers how to manipulate the direction and quality of the subject's and photographer's position, and numerous other variables so as to turn a bad image into a stunning, professional-level portrait. The topics covered are as follows: a touch of flash, bounced on-camera flash, off-camera flash, video light and hard sunlight. 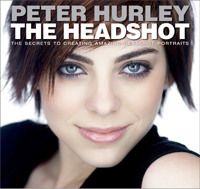 Peter Hurley is known for shooting picture-perfect headshots so it makes sense he's written a book on the subject. In the book, Peter shows you his positioning techniques, his secrets for getting genuine smiles and images that look natural and you'll learn the very same techniques that Peter uses to create headshots for everyone from execs at top Fortune 500 companies to actors and public figures. This is an enjoyable, concise guide which is packed with tips and techniques that you can put into practice straight away. 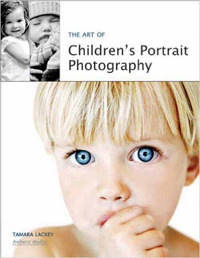 There are 10 chapters that start with the basics before looking at specific portraits such as babies and teenagers. It has a mix of the technical aspects of photography and also goes into the fun aspects of capturing beautiful photographs. Plus, it's well illustrated which is always useful when you're learning something new. 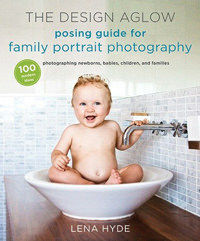 The Design Aglow Posing Guide for Family Portrait Photography contains 100 fresh, modern, easy-to-implement poses from the top family portrait photographers in the industry, providing a world of inspiration for novice and seasoned pros alike. Four sections offer 25 poses each of newborns and babies, children, siblings and families, each pose paired with helpful tips and the technical specs of the image shown. 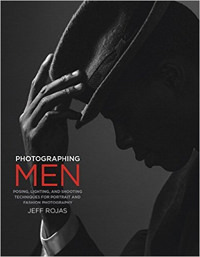 While there are dozens of books, guides, and workshops on photographing women, there's been practically nothing comparable for men so author Jeff Rojas thought he'd change that. Good for all skill levels, the book looks at commercial implications of the subject as well as what technicalities are involved. 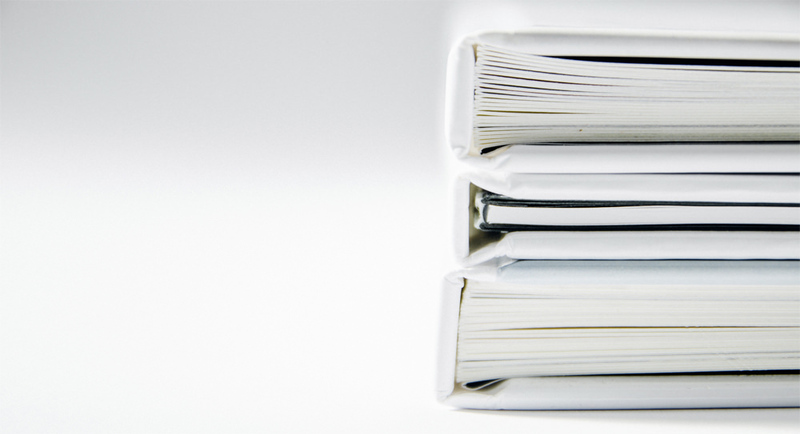 The book's easy to follow and you won't be lost in unnecessary words and waffle. Nick Fancher has put a top guide together on how you can capture portfolio-ready photos while working in some of the most problematic scenarios imaginable. 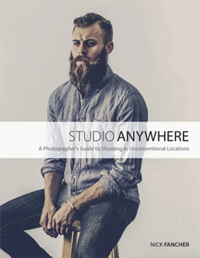 Studio Anywhere is a resource full of behind-the-scenes photos and lighting diagrams from a range of photo shoots. Plus, Nick also shares the aesthetic decisions he makes in his signature photos as well as his Lightroom and Photoshop workflow. It’s packed with tips and ideas to create simple but realistic environments, backdrops and lighting and it's well illustrated which makes it easier to work through. This guide by pro photographer Robin Long is a good mix of instruction, inspiration, practical tips and advice on equipment you need to get started. 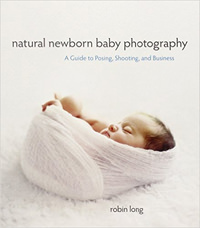 As well as showing you how to complete a newborn session successfully, the book also includes advice on creating a business plan, building a client base and selling your photos. There's also a section on post so you can learn how to perfect your shots on your computer. 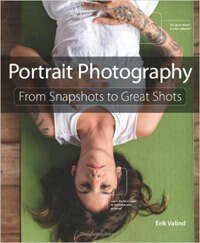 This practical book explains the basic rules of portraiture, as well as covering more complex ideas of image making. Set out in chronological order as a photographer would approach a shoot, it explains each step of the process, including post-production and printing. It's a very practical guide that's easy to understand and full of helpful tips. Written by Mark Cleghorn, this guide features easy-to-follow instructions and detailed photo sequences to help photographers of all levels. 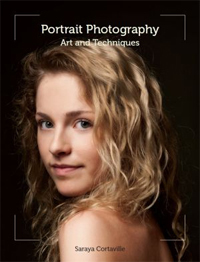 With tips on software, studio lighting and equipment, settings and locations, poses and expressions and interacting with models, Portrait Photography covers plenty of skills you need to succeed as a portrait photographer. 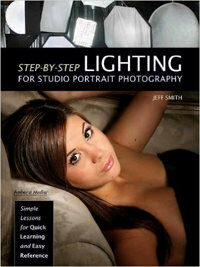 This reference book is full of handy tips on how to set-up lighting for studio portraits. As well as practical and technical tips, there's advice on what clients look for and how to pick a style. There are 57 chapters to keep you busy and all are illustrated with examples as well as having easy-to-follow text. From capturing great expressions and body language to integrating meaningful locations into the shoot to further express the subject's personality, this guide thoroughly explains how photographers can develop their skills to improve their portraits. Advice on creating platinum and chocolate-hued prints, vibrant colour scenes, dramatic black & whites, and utilising unusual textures or effects are just some of the creative techniques covered in this title. There are plenty of images to gain inspiration from and overall, the title is easy to follow and understand. If you sign up for Amazon Prime Membership you can actually read all types of books for free. Plus, you can also access magazine issues, comics or more. You don't need a Kindle either as you just have to download the Kindle app to your smart device. For more information on Prime membership, head over to Amazon UK. As a headshot photographer my favorite above is by Peter Hurley!